I ended up traveling through northern Thailand by accident. My trip started out as a beach break to the southern Thai islands. I pictured 5 weeks of pure relaxation and island hopping in the sun, massages on the beach, and plentiful beer and food. That’s what Thailand is about, right? Every budding traveler has seen pictures of Thailand and dreamt about visiting one day. The white sand beaches, crystal clear turquoise waters, and lush jungles have been enticing people for years, and have made it one of the most popular tourist destinations in Asia, if not the world. 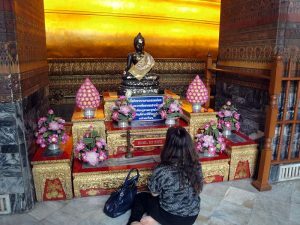 Thailand is a hugely popular destination for tourists of all kinds. For many, it has become a mandatory stop on the backpacker trail. It provides a sort of proving ground for budding backpackers, with a unique hybrid of Eastern and Western cultures, somehow holding them together in a gloriously chaotic harmony. 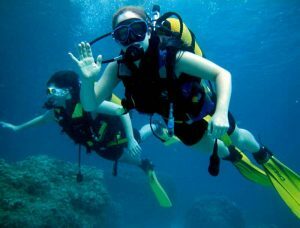 Thailand is a popular destination for backpackers taking their first trip abroad. That’s because it’s safe, cheap, and friendly and the experiences you have will stay with you for a lifetime. 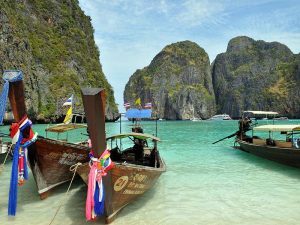 Thailand has gradually become one of the world’s top tourist destinations. This is no surprise, as the incredible country is blessed with some of the most beautiful landscapes and scenery on earth. The country boasts a seemingly endless array of jaw-dropping sights, from beaches to inland jungles and even the metropolitan areas. So many in fact, that it can be hard to choose which ones to visit during your time there. 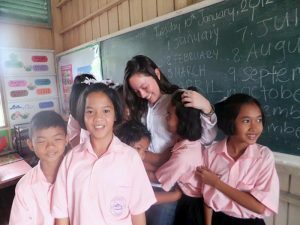 What separates a great volunteer abroad experience from an average one is being willing to dive into every aspect of learning the new culture, including speaking the language. Even if you sound a bit funny doing it! They say working with kids keeps you young. True or not, some of us just have a gift for connecting with children. 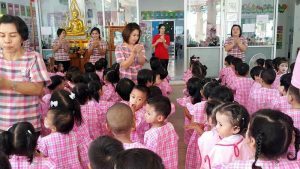 If that sounds like you, there are many ways to volunteer with children in Thailand. And, no they don’t all involve orphanages. 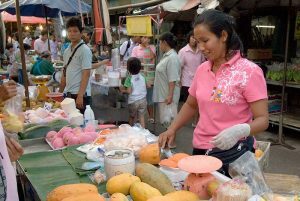 When you volunteer in one of our Thailand projects, we’ll take you off the beaten path so you can experience authentic Thai life. 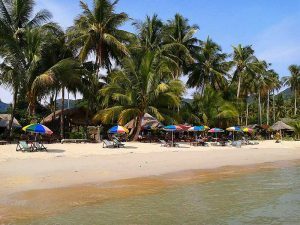 You’ll live and work among locals in the quiet, rural town of Trat on the southeastern coast of the country. But what’s great about Trat is that it’s still easy to get to other parts of the country. uVolunteer participants usually work 4 days a week, giving them a long three-day weekend to explore the rest of Thailand. Are you looking for an opportunity to make a positive impact while gaining authentic cultural immersion in a beautiful country? Then you should volunteer to teach English in Thailand. 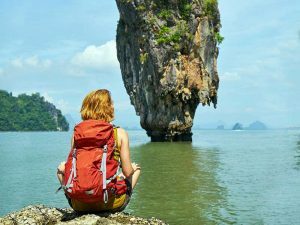 Thailand’s rich culture, great food and affordable cost of living make it one of the most popular destinations for backpackers and solo travelers. 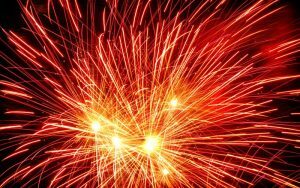 If you’re volunteering in Thailand this New Year’s Eve, there’s no need to worry about missing the party – take a look at our ideas for a new year celebration to remember. 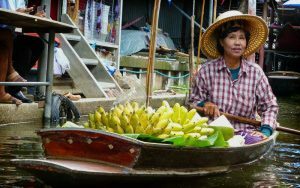 If you’re visiting Thailand on a volunteer vacation you’ll want to make the most of your free time exploring; visit the floating markets of Bangkok and the surrounding areas to experience the rich Thai culture up close. 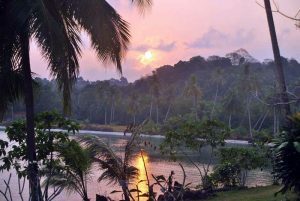 The end of the rainy season is a popular time for international volunteers to visit Thailand, keen to explore this lush paradise and witness the famously rich culture. 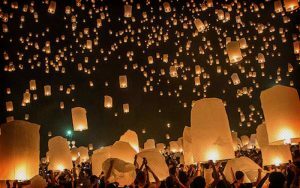 If you’ve booked a volunteer vacation this November, don’t miss Loi Kratong – an important celebration in the Thai events calendar. 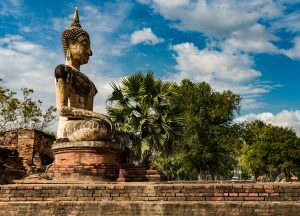 Former Siamese capital and historic Thai city Ayutthaya is a must-visit for any international volunteer with a passion for history. Dating back centuries, this ancient settlement is a treasure trove of architecture, noted for the many ruined temples that dot the once-powerful and splendid city. 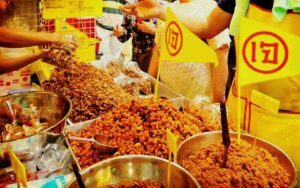 If you’re keen to sample tasty Thai food and experience authentic culture and customs on a volunteer vacation to Thailand, you can cover all bases by checking out the upcoming Vegetarian Festival. 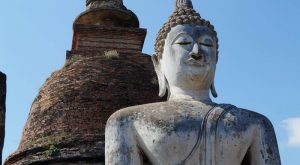 If you’re keen to get under the skin of Thailand when you volunteer abroad, July is prime time to book your trip. 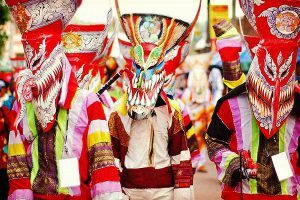 Early in the month, the Phi Ta Khon – or Ghost Festival – is held in Loei; this unmissable event is a celebration of Buddhist tradition and local culture.